LPC begins production in new Olive Branch, Mississippi manufacturing facility. LPC adds 35 Cu Yd self-contained trash compactor to improve waste management. Ariana Loijos Spencer joins LPC's design team. LPC expands its recycling program with foam densifier-- now foam in addition to wood, sawdust, steel, aluminum, corrugated, and other packaging materials. At LPC, we are always looking for ways to reduce our footprint on the environment, not only by reducing waste, but also by recycling whenever possible. 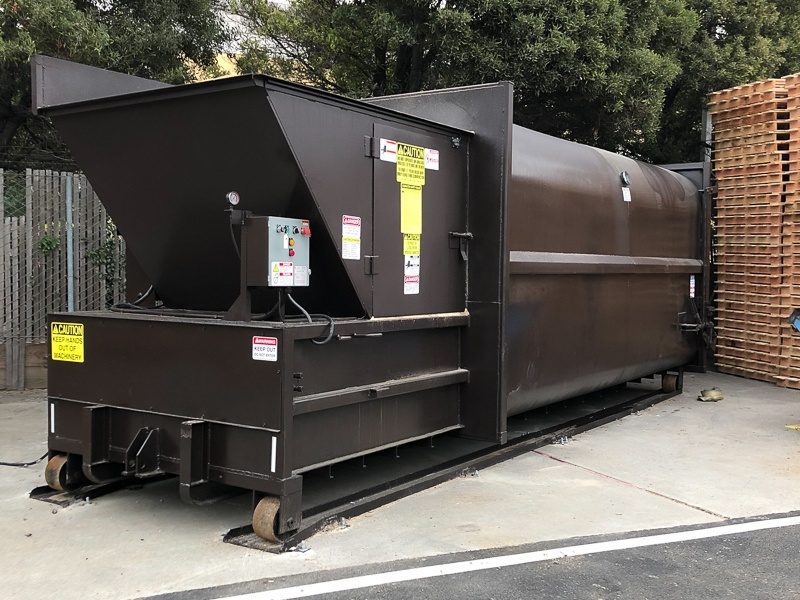 LPC was a pioneer in recycling in the Silicon Valley early on acquiring a wood shredder to recycle pallets, mill trim ends, wood, and sawdust. The program was awarded several WRAP awards and was an early participant in Sierra PIne's urban waste pilot program to make particle board. Virtually all non-product waste at LPC is now recycled back into efficient waste streams. LPC has invested in a larger capacity Cresswood grinder and nails are removed from used pallets magnetically and recycled with other steel and aluminum. Packaging scrap plastic and corrugated are baled and recycled. In October, 2017 LPC acquired an Avangard foam densifier that can reduce the footprint of EPS and PE foams 90:1 and turn it into bricks of plastic for reuse. We endeavor to recycle any unused packaging substrate or component. 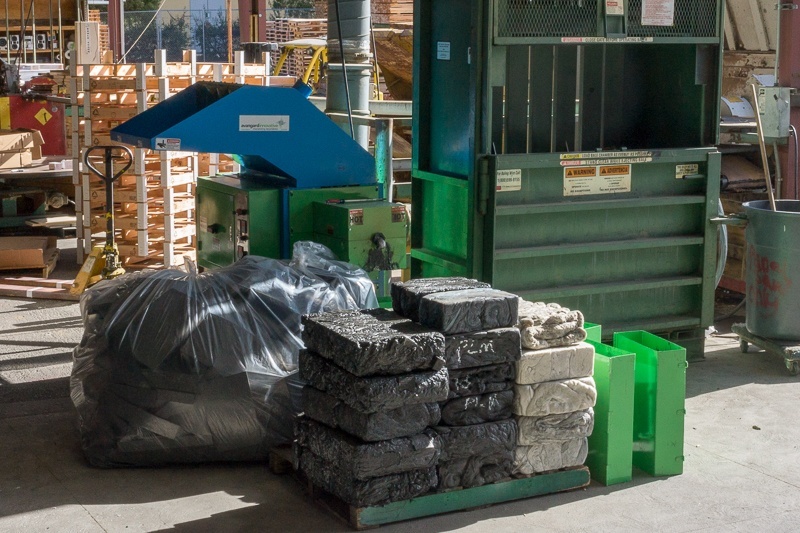 “Our recycling efforts are a great way to reduce the footprint of materials on site and our customers appreciate that we are diverting waste away from landfills and into productive markets,” says Greg Wayman facilities manager. $1.5M Milpitas factory expansion and improvement almost complete. 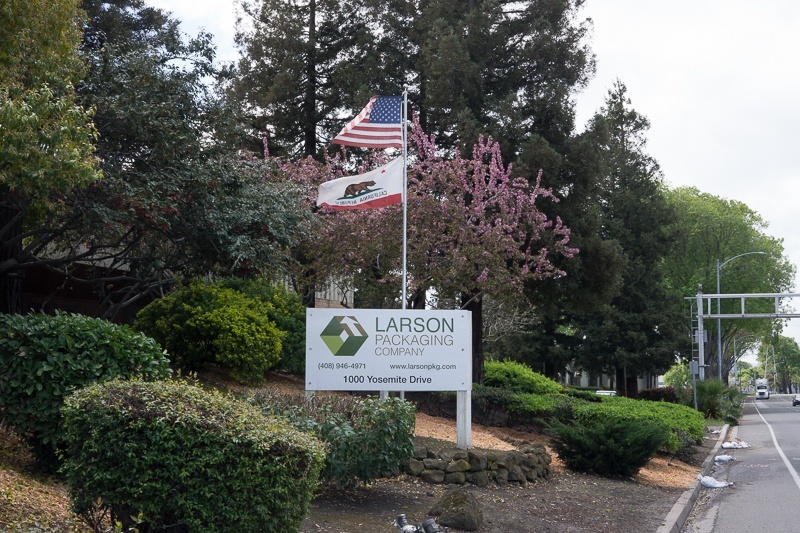 Larson Packaging Company is finishing major improvements to its Milpitas California manufacturing plant. The $1.5+M expansion includes 3 new covered canopies, a new warehouse and two loading docks as well as repaving and adding new stormwater treatment and ADA pathways. Overall, the Company has about doubled its covered manufacturing space, improved workflow, and vastly improved receiving and shipping for internal purposes and to customers' benefit. The warehouse creates a new environment for storing finished goods as well as raw materials, staging for shipping, and for a much cleaner and secure environment for in-house pack jobs. But mostly, the expansion has allowed the Company to dedicate more space to its growing rack crate business and to bring in new foam fabrication equipment to develop this important aspect of customer's industrial packaging.Additionally solar power and and new LED lighting for the factory floor have been installed. “The expansion and improvements have really improved our workflow and helped us get more lean. We have more and better manufacturing space, work more efficiently, and load and unload both our and customers’ trucks much easier and faster,” reports Plant Manager Abraham Esquivel. 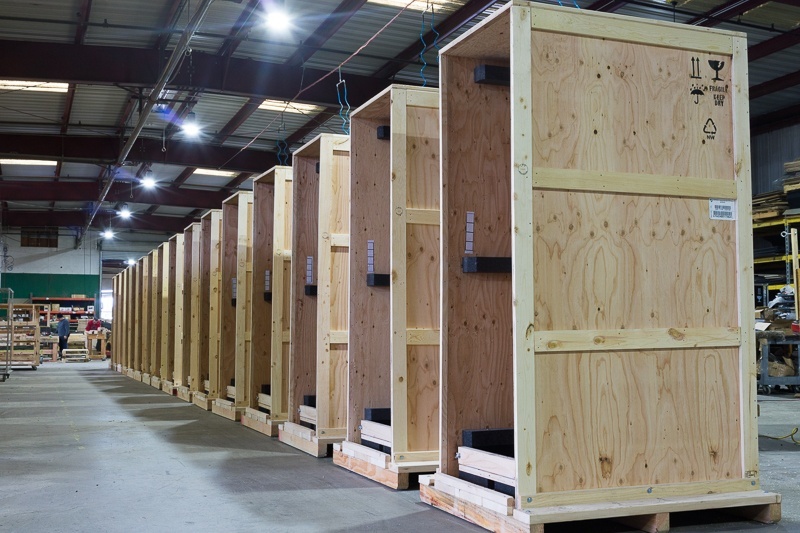 LPC partners with Nehalem Pacific to provide world-class rack crates in China. LPC continues to work to solve customers' needs by developing a partnership with Marine Lumber in Oregon and their partner in Qindao and Wuxi, China to provide high quality rack crates for cloud infrastructure in China. The arrangement allows for duty free manufacture and shipping, and use of the highest quality materials. Crates are manufactured to LPC's designs and quality standards. LPC makes major commitment to foam fabrication business with new equipment. 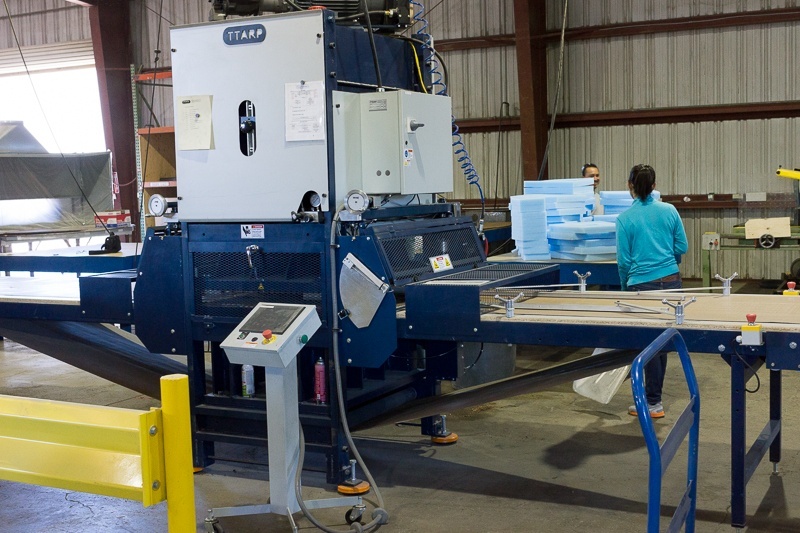 To achieve its goal of becoming a major player in foam fabrication and serve more of its customers' needs, LPC has made a major investment in state-of-the-art foam fabrication machinery at its Milpitas CA facility. The equipment includes a high speed, automated Ttarp die press, a Ttarp skiver, an Associated Pacific die press, a custom Baumer skiver/convoluter, Edge Sweets automated band saw and a Femco band saw, and expanded capacity to glue and heat seal. With our existing equipment, including an Esko/Kongsberg XN24 CNC cutting table, these additions will allow us to offer great products and services to our customers in foam fabrication. 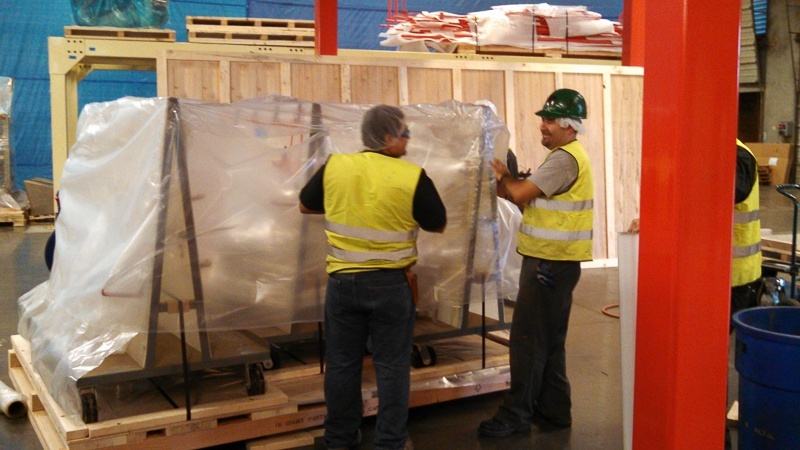 For years, LPC has been working with specialty foam in its packaging products such as crates and ATA cases. Foam fabrication is a natural extension of our packaging expertise. “I am happy to be on board here helping to start up a new foam fabrication business. I have 30 years in the industry and am impressed with Mark’s commitment and willingness to invest in everything we need to produce accurately, quickly and with the highest quality,” states Jose Luis Gallegos, Foam Production Manager. 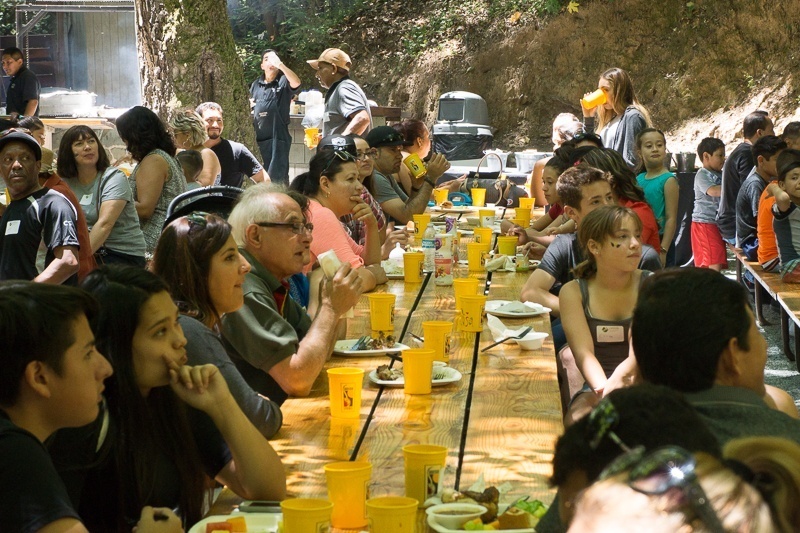 LPC staff and families enjoy BBQ in Santa Cruz mountains. LPC staff and families enjoy summer festivities at Saratoga Springs state park. Fun zone activities include: BBQ lunch, swimming, obstacle course, bouncy house, face-painting, duel shot basketball, volleyball and a dunk tank. Partner Greg Wayman says "this was a great event and a way for all of our employees and their families to enjoy the fresh air, have some fun and demonstrate that our family culture is exactly that--we're a family. And of course dunk the boss!" LPC goes green with solar! As part of our environmental efforts, LPC has installed 576 solar panels which provide ~188 KWh of power. It's great to be able to use clean energy, at a cost savings, and reduce our envionmental footprint. The system was sized to meet all of LPC's energy needs and result in a zero electric bill. Just like our products to customers, LPC opted for top-of-the-line SunPower panels. We frequently manufacture pallets and crates for solar panels and inverters, our customers are their manufacturers and/or use them, and we drank the Kool-aid! 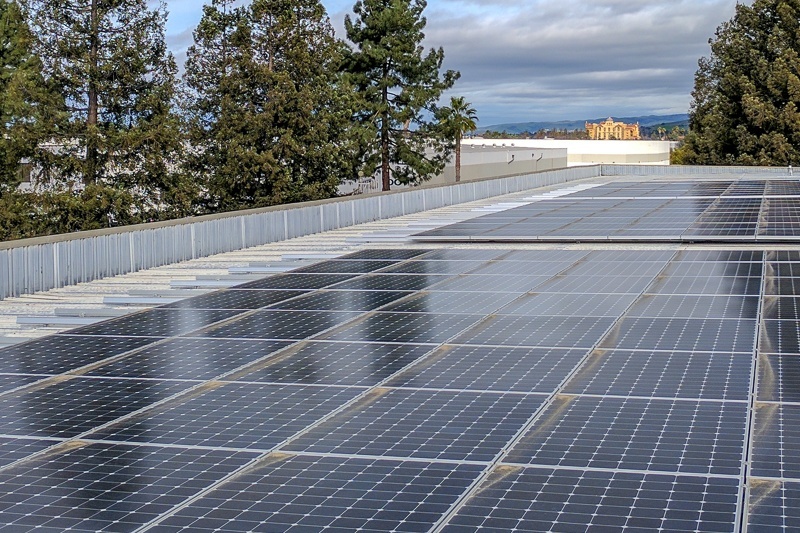 “This has been a great project, and LPC has invested in a top of the line system that will produce abundant power for well beyond it’s guaranteed life,” says Rob Lamkin, CEO of Cool Earth Solar. “We put our money where our mouth is, and we’re as clean and high tech as any of our customers,” Says Greg Wayman Facilities Manager. Larson Packaging Company becomes a Pelican Case Dealer. LPC has become a Pelican stocking dealer in order to offer a more complete line of case solutions for customers. LPC has historically been a top custom ATA case manufacturer, but at times, a high quality molded case is the best solution for customers. Our focus will be on service and custom foam inserts. Pelican is the highest quality molded case with a broad product line and our quality profile are complementary. “Although we have been a top manufacturer of custom ATA cases, sometimes customers need a simpler, off the shelf case for their needs. 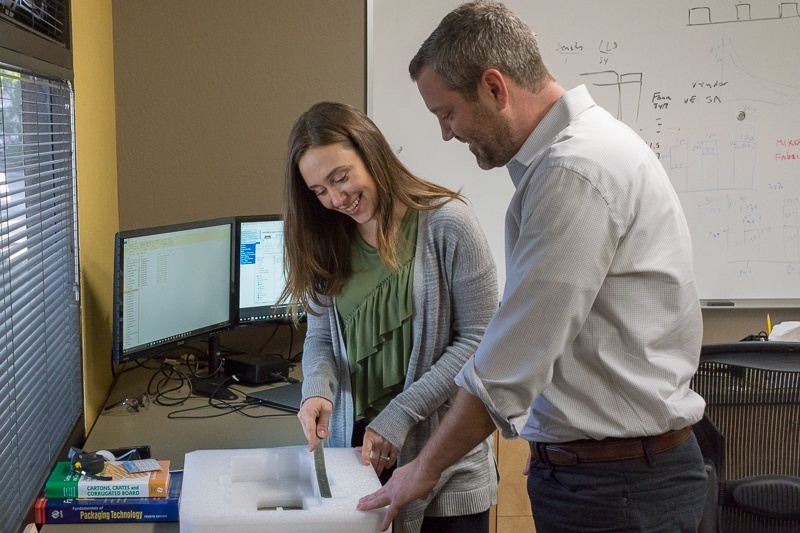 We are pleased to work with Pelican--the top of the market in molded cases—to provide custom solutions with stock injection molded cases to complement our offering,” says Greg Wayman facilities manager. 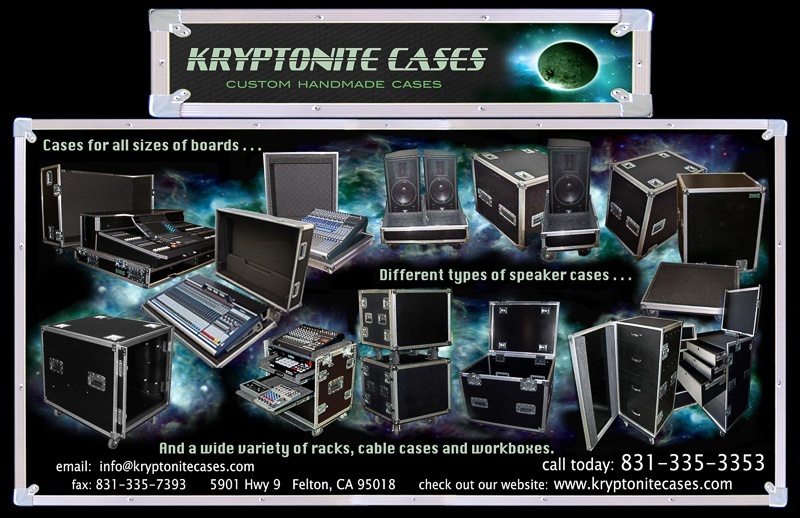 LPC acquired the assets of Kryptonite cases and the services of owner Dave Medd (Keyboardist for the Tubes and December People). The acquisition improves and expands LPC's ATA case manufacturing capabilities and designs as well as industry and customer reach. Both companies had similar manufacturing and a preference for HexaGrip panel material and a focus on excellent design and the best quality and durability available. With this acquisition, LPC can now work with both single angle and double angle designs and support the music, backline, and event production industries as well as robotics, high tech, trade show, medical devices and electronics which was our traditional focus. “Kryptonite is an exciting addition to our case business. They bring double angle case construction to our repertoire and a set of customers in music, production and back-line that we don’t currently serve. We’re both at the pinnacle of design and quality of construction, so it’s a great fit. Plus, we’re hoping to live the rock and roll dream to some degree!” Mark Hoffman, CEO of LPC. LPC Goes Green--Actually Bright White With LED Lighting! 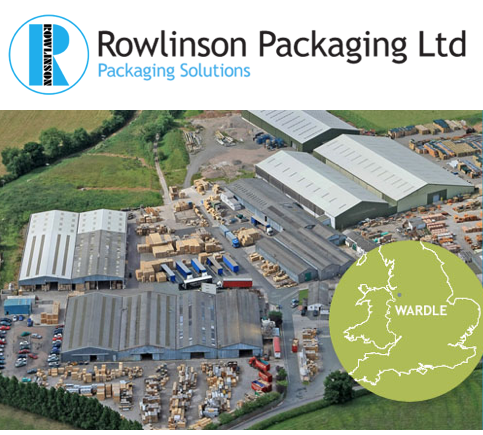 LPC partners with Rowlinson Packaging to provide world-class rack crates in the UK. LPC announces that it has acquired the assets of Nova Packaging, a small, nimble manufaturer of wooden crates and provider of on-site packing and facilities moves. Nova will bring new customers to LPC as well as new capabilities, designs, staff, and processes. “Nova brings us some new customers and manufacturing talent, as well as greater capabilities for on-site packaging,” Mark Hoffman CEO. 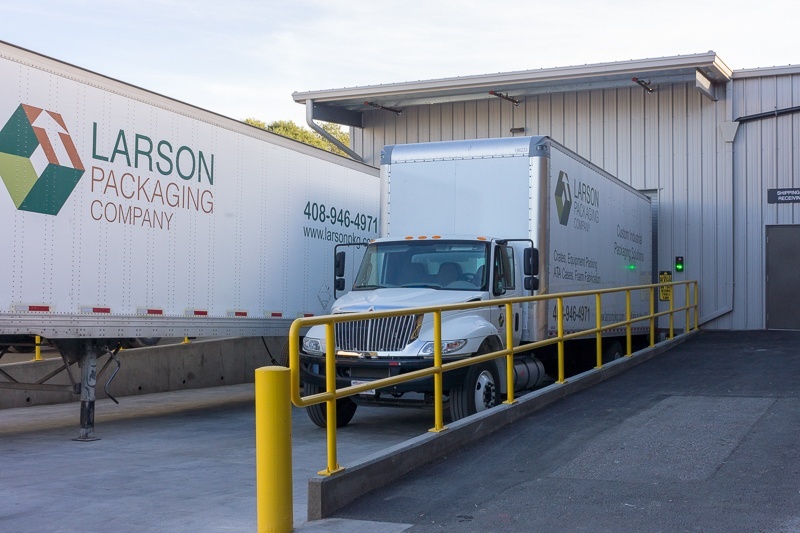 LPC becomes Larson Packaging Company. LPC is excited to announce rollout of its new name, Larson Packaging Company (still LPC) and a comprehensive branding reboot. 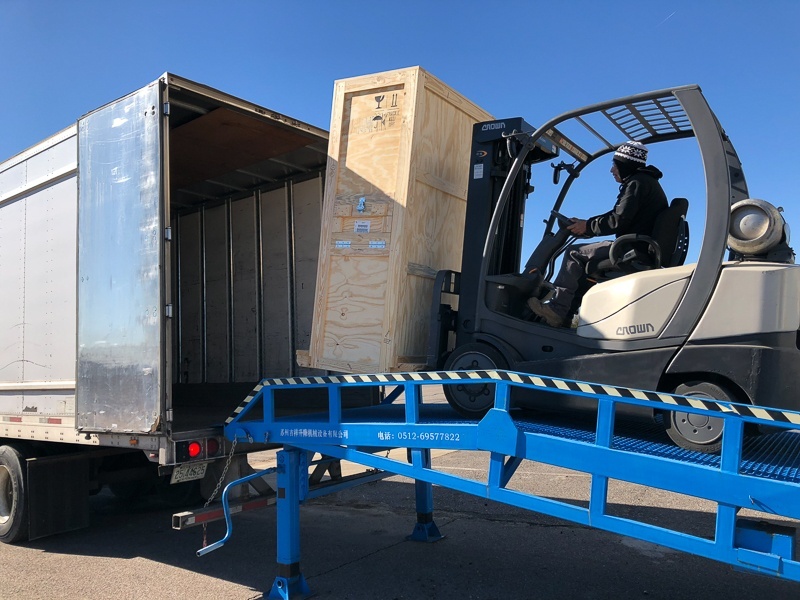 The change reflects the current LPC business and capabilities--custom industrial packaging and a focus on ATA cases and high-end wooden crates. The branding is fresh and new and more accurately reflects our professionalism, focus on action and unlimited capabilities as well as offering a warm and earthy look and feel. Marketing collateral, truck badging and our identity are all in alignment. “I’ve been impressed with the value proposition LPC offers and it’s been exciting to come up with such a great identity and branding strategy for the company as it embarks on it’s growth journey,” says Joe Marcal, Operations Manager of Interamark.